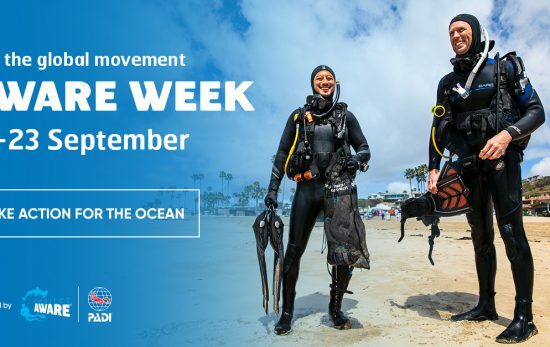 In celebration of AWARE Week, Project AWARE® and PADI® are encouraging divers around the globe to focus on ocean conservation. Whether it’s through learning, inspiring, or taking action, there are so many amazing ways to get involved. 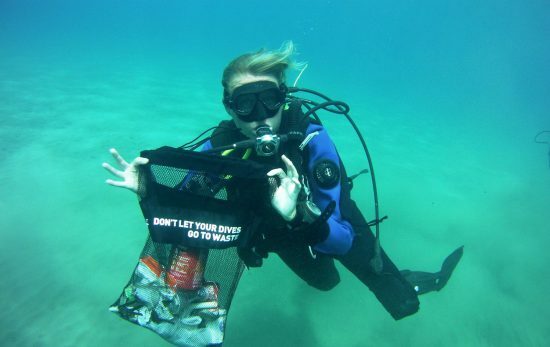 With marine debris being one of the biggest issues facing the ocean, one of the most popular ways in which divers are showing their love for the big blue during AWARE Week (as well as all year long) is by conducting Dive Against Debris surveys. While most Dive Against Debris® surveys focus on removing common trash items like plastic bottles, fishing line, and aluminum cans from the ocean environment, some divers also focus on collecting marine debris ‘treasures’. 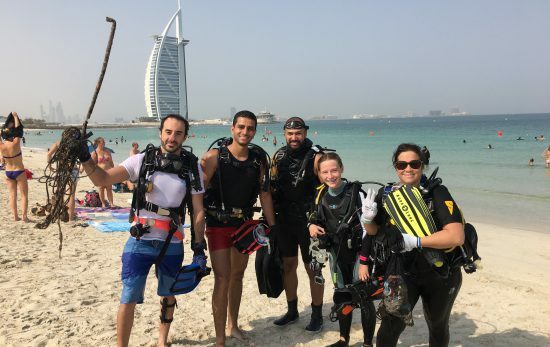 They’re not exactly finding gold doubloons, but the items that these divers are recovering are most definitely not trash. 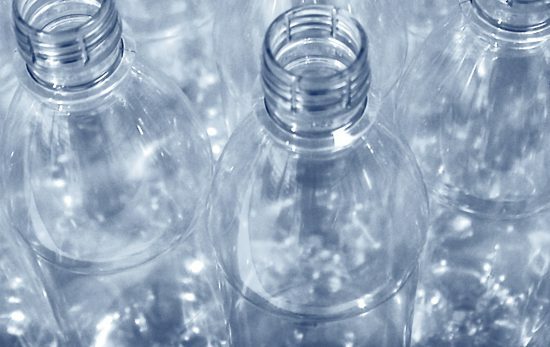 Typically, they’re items accidentally dropped by boaters, swimmers, snorkelers, and divers. 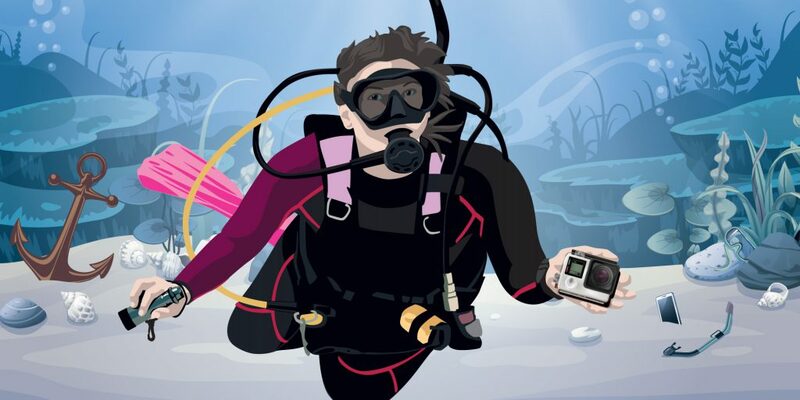 Some of the most common ‘treasures’ being found on the seafloor are snorkels, weights, cameras, phones, dive computers, and anchors. 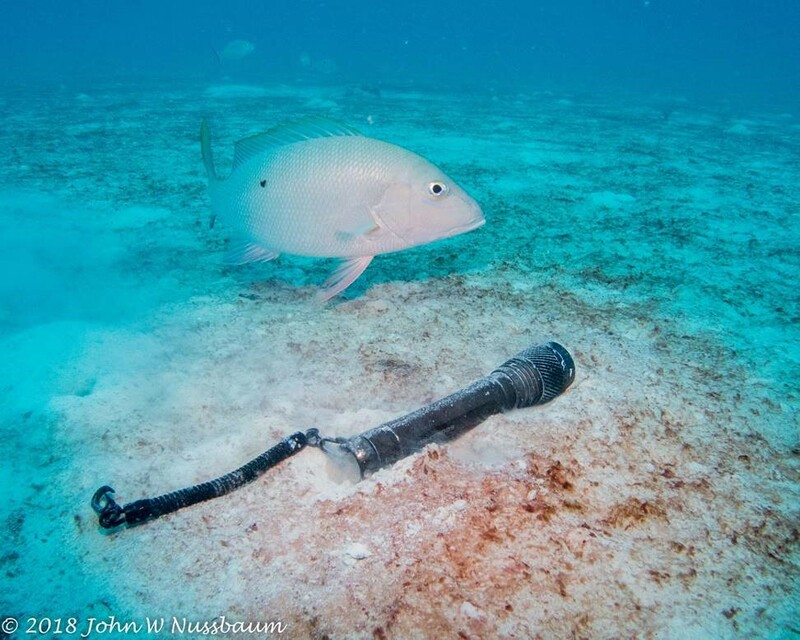 This lost dive light was found by John Nussbaum on the seafloor just beyond a popular dive spot in the Florida Keys. John Nussbaum, PADI Master Scuba Diver™ Trainer, Tech 50 Instructor, and underwater photographer based in Florida, regularly collects valuable marine debris items while scuba diving in South Florida. Some of the ‘treasures’ he recovers are simply on the seafloor right below popular dive sites, some are found just slightly off the beaten path, and some are only discovered by diving in less popular or deeper areas. The most valuable marine debris treasure that John has found while diving was a $5,000 dive camera with lights and strobes, followed by a full scuba set (tank, BC, and regulators) valued at $3,000. When John recovers valuable items like these, that are still in working condition, he always attempts to return it to the owner, often with great success. He recommends taking a picture of your name and contact information with any camera used around the water so that if someone like him finds it, they can easily return it to you. Even when he finds items of lesser value, like fins, masks, weights, or dive lights, he often finds them a second home by giving them to young dive boat crew members. John’s skills are becoming more known throughout the South Florida dive community, with fellow divers sometimes telling John about a specific piece of gear they lost, and he then goes out and actually recovers it. He is truly a modern day treasure hunter creating positive change for the health of the ocean and the good of the diving community all at the same time! 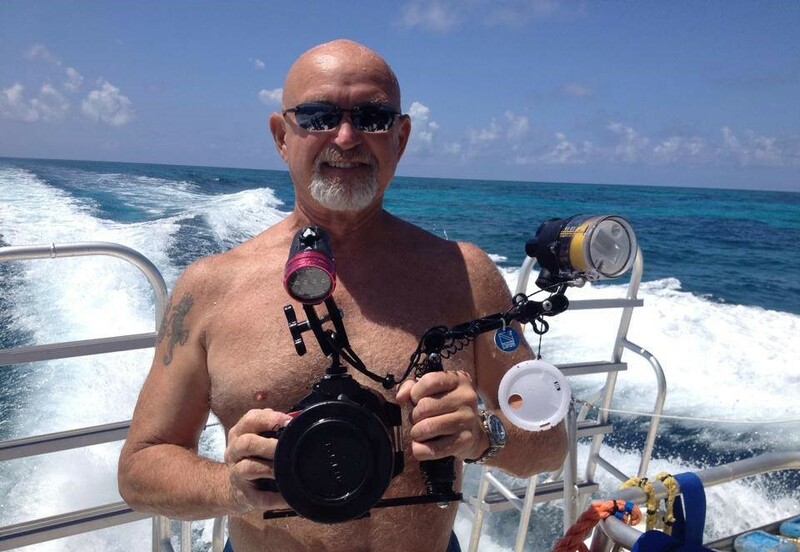 John Nussbaum found this $5,000 dive camera rig on the seafloor in the Florida Keys while scuba diving, and with the camera still in great condition, he was able to return the lost camera to it’s owner. Another notable diver collecting marine debris treasures is Jake ‘DALLMYD‘ Koehler. 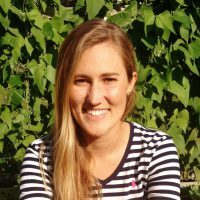 Scuba diving and freediving mostly in freshwater rivers, lakes, and springs in the Southeastern United States, Jake finds an abundance of ‘treasures’ like smart phones, cameras, and jewelry hidden beneath the surface of the water. His enthusiastic underwater treasure hunting videos have brought an audience of more than 5.5 million subscribers to his channel on YouTube. And on almost every dive, Jake also fills a cleanup bag with trash found between the treasures. Check out one of his videos below. Weather you set out on your next Dive Against Debris to collect trash like single-use plastics and abandoned fishing gear or you also choose to focus on searching for ‘treasures’ like lost dive gear, the ocean will thank you for helping make it a cleaner and healthier place. Earning the Project AWARE Dive Against Debris Specialty and the PADI Search and Recovery Diver certifications are a great ways to obtain the proper training for such activities. To ensure that you don’t contribute to the amount of lost dive gear that sometimes ends up being found by divers like John and Jake, remember to be as responsible with your gear as you are passionate about caring for the ocean.